The concept of the eternal child babe became the first of a jade series, all keeping true to the spirit of an original work. 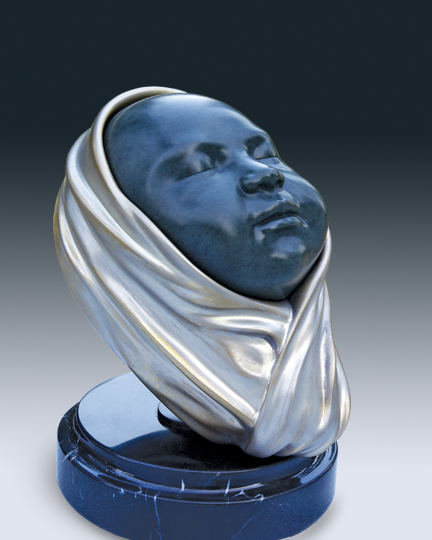 The swaddles are bronze castings from the same pattern, finished in varying patinas, and the faces are carved from various regional jades, each representing matching ethnicities: Caucasian, Native American, and Asian. I named the first one BABYSHKA - a play on the Russian word Babushka, an endearing term for an elderly grandmother in a headscarf. I carved it in Polar jade from British Columbia. 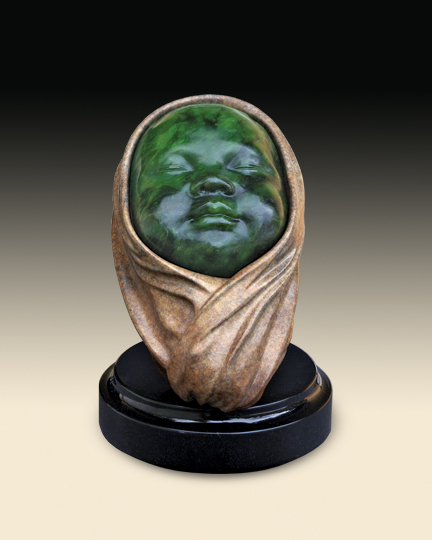 I carved the second Babies & Swaddle sculpture in dark sage Wyoming jade, a few years later. Named OHNAA, or Newborn in the Shoshone language, this sculpture refers to the area where the jade likely originated from (below). 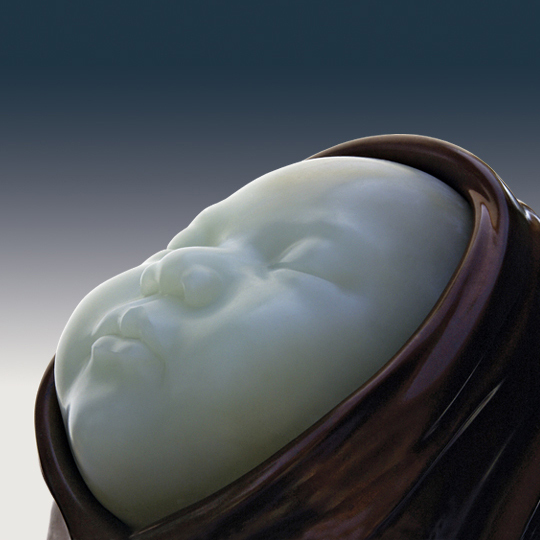 The third baby face, INFANT is in Siberian nephrite. 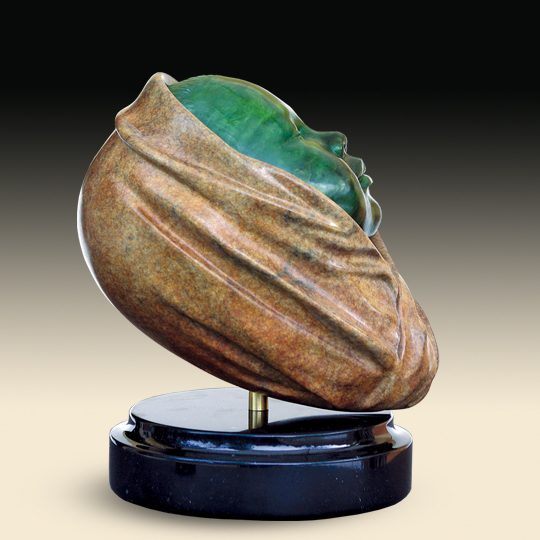 I created this sculpture specifically for the 2014 Zi Gang Bei Cup, an annual international jade competition, in Suzhou, China, where it won a Gold Award.